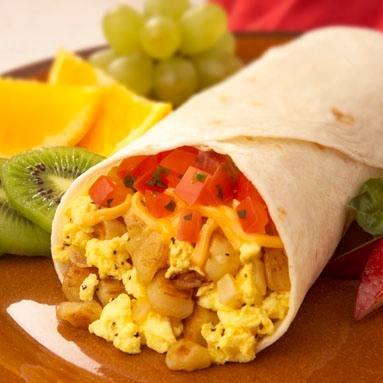 Although I own a traditional American-style restaurant, this Breakfast Burrito Recipe and several others have been on the restaurant menu for many years due to influences from the Southwest and Mexico. These international influences have created a wonderful variety of food choices for all of us. I am grateful for the diversity. 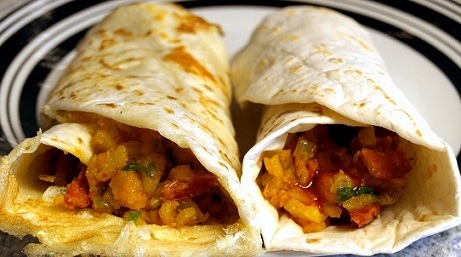 And this is a meatless burrito recipe for when the need or desire warrants. Preparation time: 10 minutes. Serves: 1. Ole! 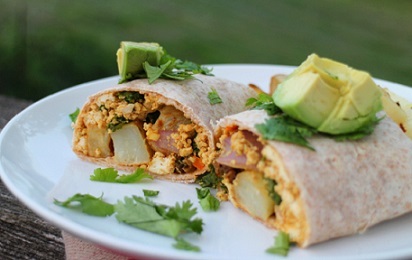 You have just created a wonderful breakfast sandwich using a flour tortilla. You now have another real restaurant recipe. 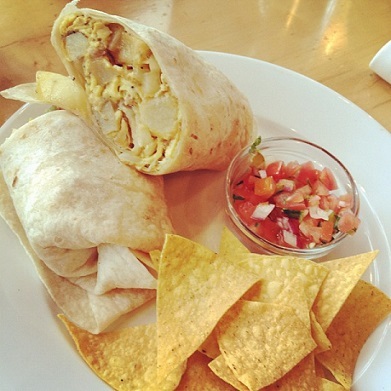 Enjoy your restaurant breakfast recipe and the company of those you share it with!